Minimum Qualification : MD/ DNB (Paediatric). Experience : 2 years of Post PG clinical experience. Period of engagement : Initially for one year from the date of Joining and extendable after review of performance. The interested doctors may submit their resume/profile with self attested copies of their degree/experience certificates on or before March 01, 2018. 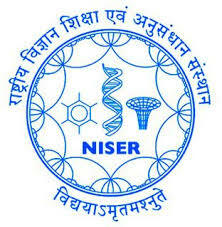 The applications be addressed the Director, National Institute of Science Education and Research (NISER),Jatni, Khurda, 752050 on the envelop superscribed “Application for Part time Medical Officer”. The applications can also be sent through email (drbiswajitmishra@niser.ac.in) with the subject “Application for Part time Medical Officer”. Labels: Central Government Jobs , Jobs in NISER.